• Welcome to your Saturday edition of The Purge and welcome to one of the year’s hottest pop collaborations! 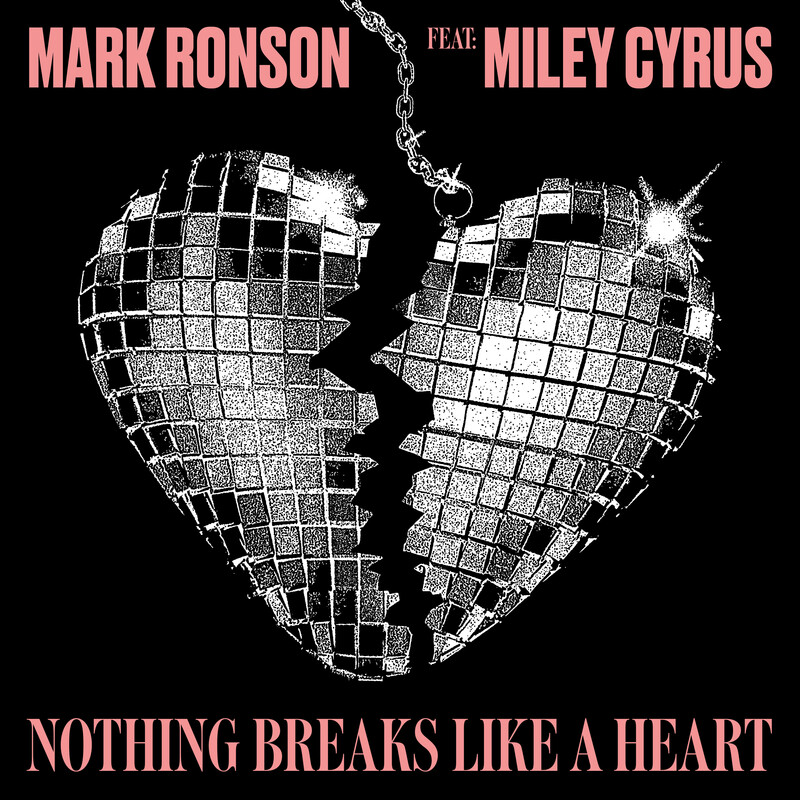 Yes, Mark Ronson and Miley Cyrus have cooked up something special with their brand new project, ‘Nothing Breaks Like A Heart’, which dropped digitally yesterday. Not only does it serve as a new beginning for Miley, but also for Mark; the track playing the role of lead single from his forthcoming studio album, due in the new year. 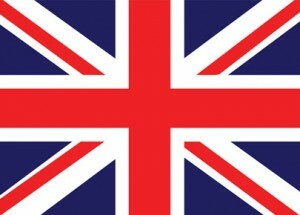 The pair is due to perform the track on ‘The Graham Norton Show’ next week. • Quite a number of new tracks making their way to Aussie media in the last couple of days, including two from Samantha Jade’s Christmas album (‘Home’ and ‘The Magic Of Christmas Time’; the latter with Guy Sebastian), NOTD and Felix Jaehn’s ‘So Close’, Dan + Shay’s ‘Tequila’ and the cracking new Tyron Hapi single ‘One Last Time’. • 16 year old performer Kian, who’s recently been rumbling around the ARIA charts with his breakout single ‘Waiting’, has signed a deal with EMI Australia. He’s also inked with Republic Records for the rest of the world, so big things are definitely on the horizon for the young singer songwriter. But there’s plenty more in the works; according to EMI, more new Kian music is forthcoming in 2019. • Sydney starlet Odette has teamed up with Gretta Ray for her latest single project, ‘A Place That I Don’t Know’. “‘A Place That I Don’t Know’ is about being hurt and feeling isolated from your own home,” the singer explains. “I wrote this for me and Gretta to duet because her tone truly conveys the emotion I was trying to reach in this song. It’s about yearning for a love that’s let you down and trying to rebuild from something you didn’t even destroy.” The song follows on from the release of Odette’s album ‘To A Stranger’ back in July. In other news, she’s sold out her March 29 show at Melbourne’s Corner Hotel and has added another at the same venue the previous night. Tickets are on sale now. 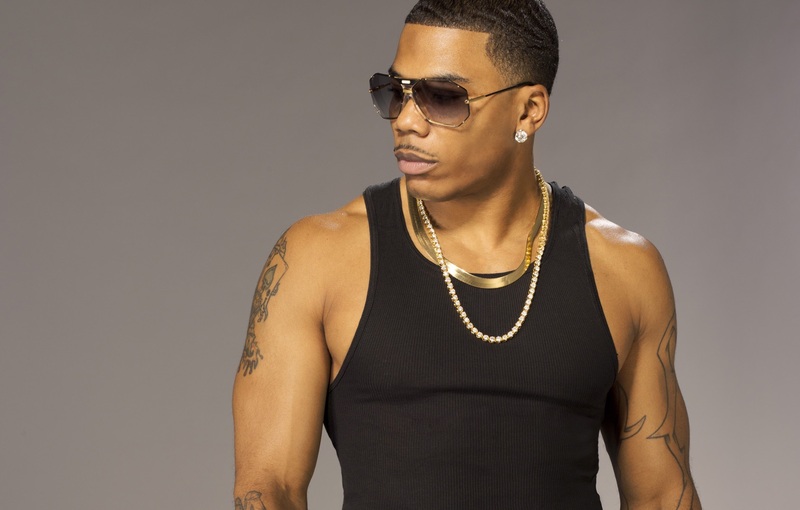 • R&B superstar Nelly is due in Australia for RNB Vine Days early in the new year, but he’s announced a quartet of headline sideshows while he’s in the country. Yes, usual suspects Sydney and Melbourne will both get a show, but so too do Darwin and Cairns. Catch Nelly live at the Enmore Theatre in Sydney on February 01, Gilligans in Cairns on February 05, Discovery in Darwin on February 06 and Trak in Melbourne on February 08. Frontier members can score pre-sale tickets from 11am AEDT this Wednesday, while general tickets hit the sales desk at 11am local time on Friday, December 07. • Jazz chanteuse Norah Jones has added a second show at Sydney’s State Theatre after her first show at the venue sold out. Tickets to the original date – on Sunday April 14 – are completely exhausted, so a new show’s been added the following night at the same venue. Tickets are on sale now. • The Australian Open is looking hotter by the day, with organisers adding some top notch Aussie talent to next year’s music line-up. Already confirmed to perform were Bastille, Craig David, Angus & Julia Stone and Dean Lewis. They’re now joined by Conrad Sewell, Nicole Millar, CXLOE, Something For Kate, Jet, You Am I, Jebediah, Birds Of Tokyo and many more. The 2019 Australian Open takes over Melbourne Park from Monday January 14. • Ariana Grande holds the fort on the UK singles chart for a fourth successive week with her latest single ‘Thank U, Next’. The song holds again ahead of Little Mix’s ‘Woman Like Me’ (steady at No.2), but the Brits prove they still love devouring everything Jess Glynne is serving up; ‘Thurdsay’ improving from No.4 to No.3 and Halsey’s ‘Without Me’ up from No.6 to No.4. Ava Max’s ‘Sweet But Psycho’ is also marching towards the upper reaches of the UK top 100, up another seven spots to No.6. Improvements too for Zara Larsson’s ‘Ruin My Life’ (No.15 to No.11) and the Charli XCX/Troye Sivan track ‘1999’ (No.17 to No.13). • Take That kick off their 30th Anniversary celebrations with a No.1 album. Their re-imagined greatest hits package (‘Odyssey’) premieres atop the UK albums chart this week, prising Michael Bublé from the No.1 position (he’s down to No.2). The rest of the UK top five is held by the soundtrack to ‘The Greatest Showman’, the new Cliff Richard album ‘Rise Up’ (No.4 on debut) and Little Mix’s ‘LM5’ (No.3 to No.5). The two other albums to premiere in the UK top ten this week are Roy Orbison and the Royal Philharmonic Orchestra’s ‘Unchained Melodies’ (No.8) and Alfie Boe’s ‘As Time Goes By’ (No.10). Rita Ora’s ‘Phoenix’ just misses the top ten on entry, premiering at No.11. Mumford & Sons’ ‘Delta’ dives from No.2 on debut to No.14. Boyzone’s ‘Thank You & Goodnight’ is down from six on debut to No.24. • Ariana Grande holds for a third week on the Billboard Hot 100 singles chart this week; her single ‘Thank U, Next’ maintaining its lead over an entirely steady top four featuring Travis Scott’s ‘Sicko Mode’, Marshmello and Bastille’s ‘Happier’ and Halsey’s ‘Without Me’. Juice WRLD’s ‘Lucid Dreams’ is up from six to five, while Panic! At The Disco’s ‘High Hopes’ climbs from No.8 to No.6. Mariah Carey’s festive favourite ‘All I Want For Christmas Is You’ is back for another year; re-entering the top 100 at No.29. • Another week, another change atop the Billboard 200 albums chart in the US. Kane Brown’s ‘Experiment’ has gone, replaced in the No.1 position by the new album from UK outfit Mumford & Sons, ‘Delta’. 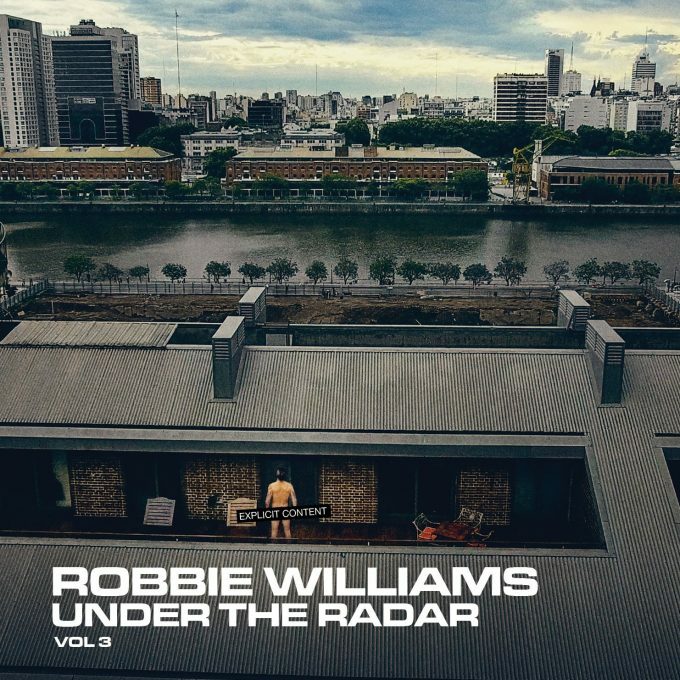 In fact, the boys have prevented perennial chart favourite Michael Bublé from debuting in top spot; his album ‘Love’ debuting at No.2, ahead of the new reimagined version of ‘The Greatest Showman’ soundtrack. Lady Gaga and Bradley Cooper are up to No.4 with the soundtrack to ‘A Star Is Born’ and there’s a No.5 debut for the new Mariah album ‘Caution’ (her seventh consecutive top five US album). Anderson Paak’s ‘Oxnard’ just misses, premiering at No.11. • And that’s your lot this Saturday morning… nothing more to say ’til we come back at five o’clock on the East Coast this afternoon and serve up our latest edition of ARIA Chart Watch! Join us then, won’t you?